Unresolved anger in children can erupt in damaging and inappropriate behavior. In this story, nine-year-old Penny's anger is kindled by several incidents throughout her day at school and home. After holding in her fury for so long, when she finally lets the angry feelings out, it is a negative emotional explosion. I Am So Angry, I Could Scream teaches children techniques for releasing anger in healthy ways and methods for preventing anger-inducing situations. 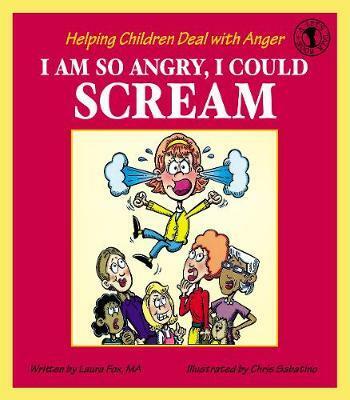 Young readers are shown how to keep an anger chart to identify the causes of their angry feelings and how to find positive ways to work through them.